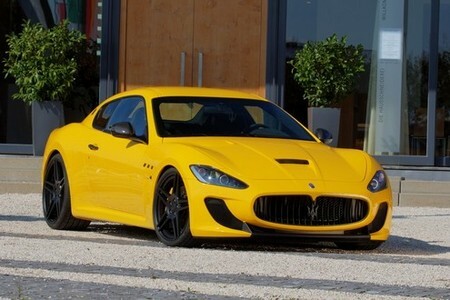 Novitec Tridente, the Maserati specialist at Novitec Rosso tuning center revealed its program for the GranTurismo MC Stradale. The magnificent package includes a subtle package with a new vented bonnet to feed the new supercharger, and rear diffuser as well as new tailpipes. You also get the black 21-inch front and 22-inch rear alloys, and Pirelli P Zero high-performance tires and 25mm lowered suspension to complement them. The best part however is the 4.7 liter engine which has been tuned up to 646 PS and 640 Nm of torque. That means 0 to 100 km/h in just 3.9 seconds, and top speed of 306 km/h.